Does your company need: steam, hot water or hot air? Steamrator got the right solution for you! Tailor-made, turn-key Heating plants from 30kW to 10 MW. Electrical boilers from 30-75kW. A “green” and eco-friendly solution for steam production. 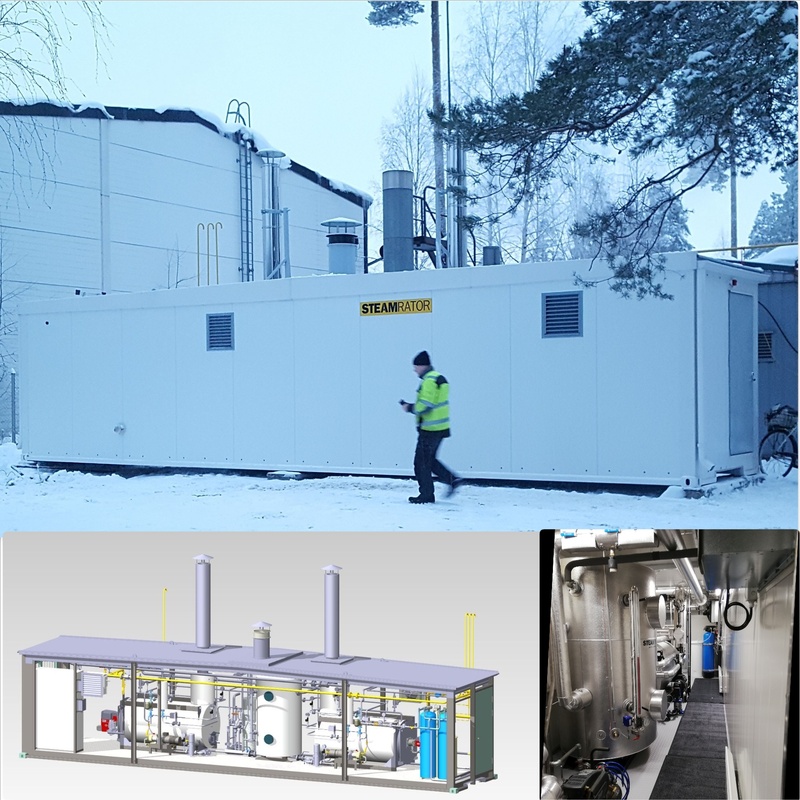 Steamrator delivered two Steam 1000 steam generators installed into a container to Etelä-Karjalan Pesula (the South Karelia Laundry), replacing the old steam boiler. Two natural gas powered 1.3 Megawatt steam generators provides good controllability and quick start-up, enabling the use of the equipment for production only when required, without any unnecessary maintenance heat. Saimaan Tukipalvelut Oy is a municipal limited company belonging to the South Karelian Lappeenranta Group. The company provides food, cleanliness and textile services, property maintenance and maintenance services, and other similar support services primarily for its owners. Etelä-Karjalan Pesula is the marketing name for textile services at Saimaan Tukipalvelu Oy. Textile services handle 1.4 million kilos of textiles each year.